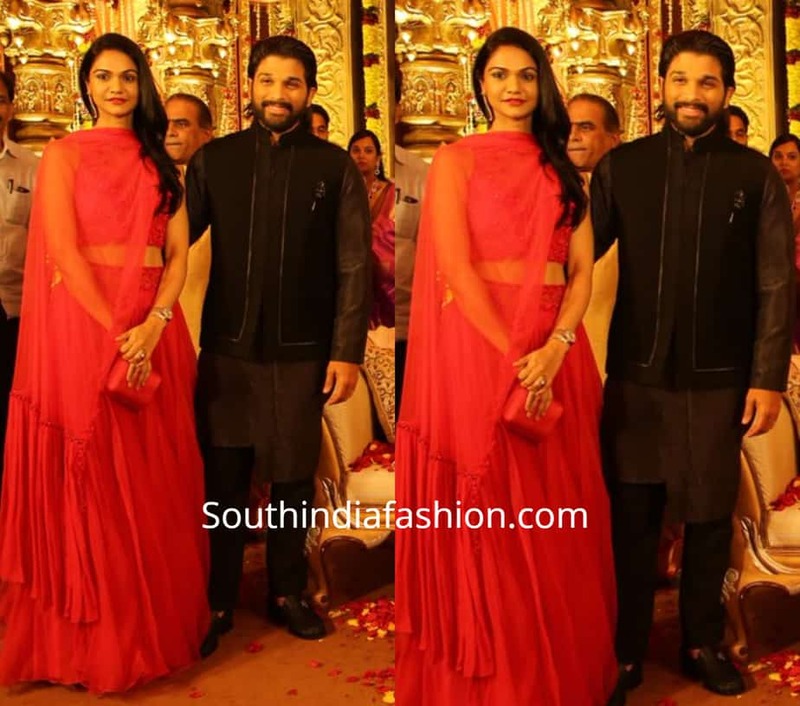 Allu Arjun and Sneha Reddy attended a wedding reception in Hyderabad recently. 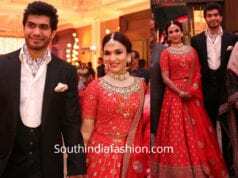 For the event, Sneha Reddy donned a red lehenga. 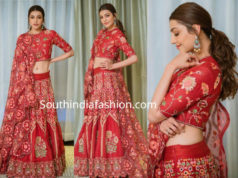 Her look was rounded out with matching clutch, diamond ruby earrings and side swept hair. 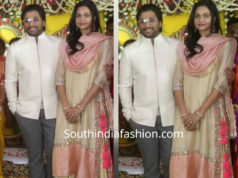 Allu Arjun was seen in a black and brown kurta pyjama paired with matching jacket.